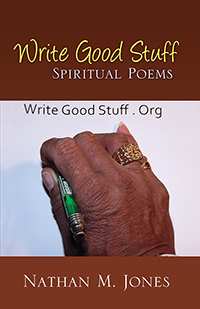 I write poems and stories that attempt to bring about an atmosphere of hope and direction. People of all parts of this world are searching for and seeking some comforting words of truth. They want to read or hear expressions of real meaning. The message in the material that is presented is easy to relate to and understand. It also illustrates events that most of us encounter sometime in our daily existence. We all want relief from sadness and sorrowful situations, even if it is for a moment. A soothing word or thought goes a long way to making us feel better. After employing a few of these poems and stories you may at least gain or begin to have a brighter attitude. During my life time I have noticed in my friends, neighbors and associates, a decline of respect for others and even themselves. A number of them have given up on their life long dreams or finding that great career they tried so hard to obtain. My only goal is to relay to whomever I can that there is still a possibility for them to have success and that better days are coming. All they have to do is have faith and hold on a little longer. Grand things are always in reach if you believe and apply yourself in a way that is acceptable to God, your country and your fellowman. Let everyone be a friend to one another. Dismiss the thought of being an enemy to your brother. Let all your deeds be kind and helpful. Refrain from actions that are rude and harmful. Thank you. I would like to know that these poems and stories are ready accessible to anyone who desires a copy and that there could be a popular demand for them. My greatest wish is that I might be able to send this material to places that I can not travel to and take it in person. This seems to be the next best thing.